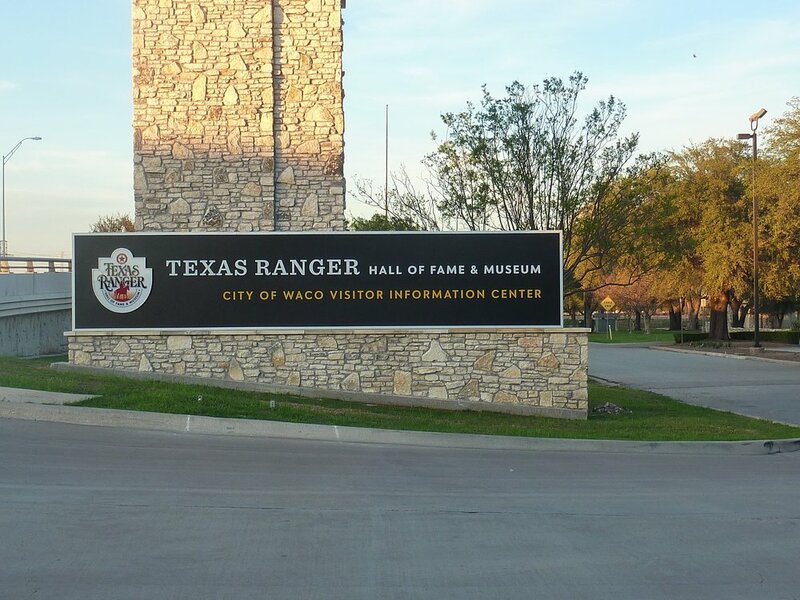 During recent construction along Interstate 35, the main identifying sign for the Texas Ranger Hall of Fame and Museum (TRHFM) was removed and the grade of the access road was raised which significantly reduced the visibility of the museum. 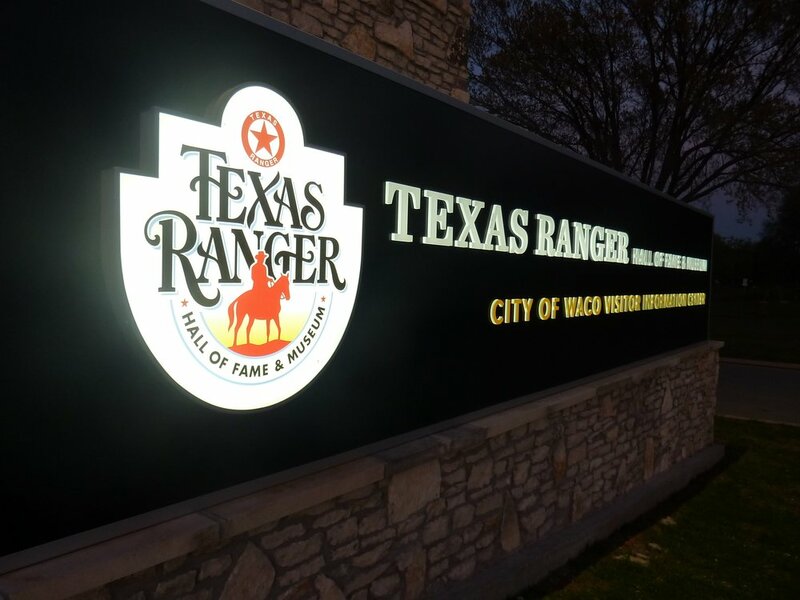 To restore the TRHFM’s visibility along I-35 and provide a sense of arrival, Tangram Design generated a design-build relationship with Harbinger Sign to design, fabricate, and install a 45 ft. pylon sign and entry monument sign. The circle-star badge is an icon that has represented the Texas Rangers for many years. 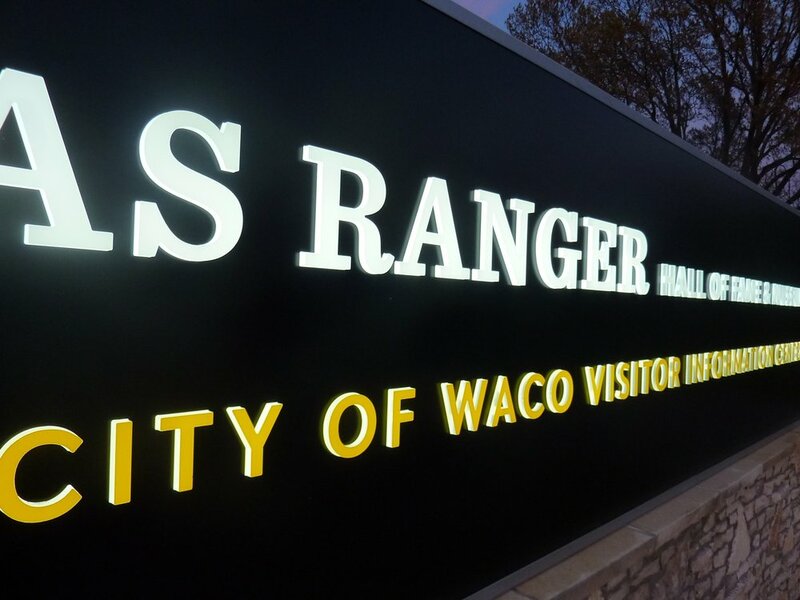 It is a legacy symbol that creates instant recognition and connection to the Texas Rangers and the museum’s audiences. Integrating into the surrounding museum landscape, masonry at the base of the monuments utilize the same stone that was used on the museum building and were installed by the same artisan.